Eliezer Ben-Yehuda. Ben Yehuda Street, most commonly referred to simply as the midrachov (pedestrian mall), is the heart of Jerusalem's downtown business district and the axis around which much of its tourist life revolves. Eliezer Ben-Yehuda. 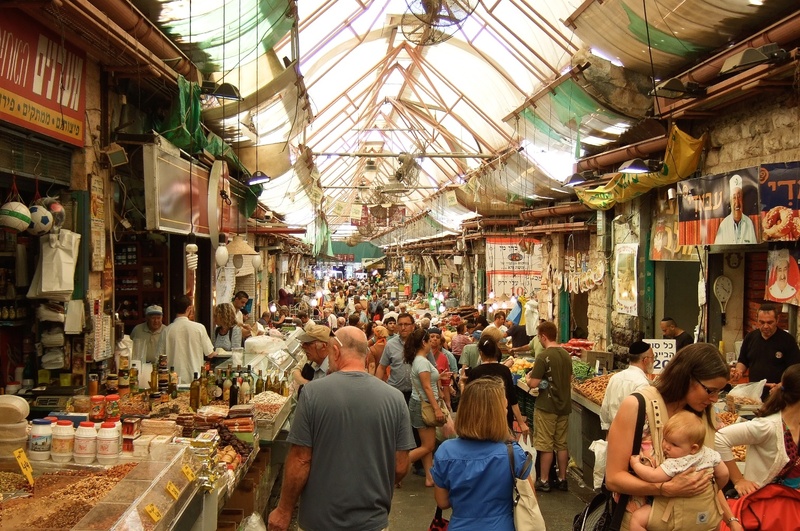 Ben Yehuda Street, most commonly referred to simply as the midrachov (pedestrian mall), is the heart of Jerusalem’s downtown business district and the axis around which much of its tourist life revolves. Dozens of mostly indistinguishable gift shops, offering the ubiquitous Hebrew Coca-Cola shirts, Judaica and commemorative knickknacks, line the smoothly paved street, many still sporting the yellowing “Big Discount for Brave Tourist” signs which date back to the dark and empty days of the Al-Aqsa Intifada.